IronRisk Strategies, LLC – The most expensive kind of insurance! IronRisk Strategies, LLC / Personal Lines / The most expensive kind of insurance! The most expensive kind of insurance! It’s all about the questions! The primary job of an insurance agent is to protect the assets of their clients. What is the most expensive kind of insurance to have? With that in mind, we consider one of the most important questions we can ask is: What are the ten most expensive items in your house? We ask this because we want to make sure those items, and others like them, are properly insured. Let me give you an often overlooked example. Most people know that they need to schedule higher valued jewelry. But one of the most expensive items in our house is my bike. So if I were to answer the above question, my bike(s) would be at the top of the list. The partially good news is that my bike is insured under the contents coverage of my homeowners policy, as long as it is at home. But the unique thing about bikes is they don’t always stay at home, as evidenced by the picture above. 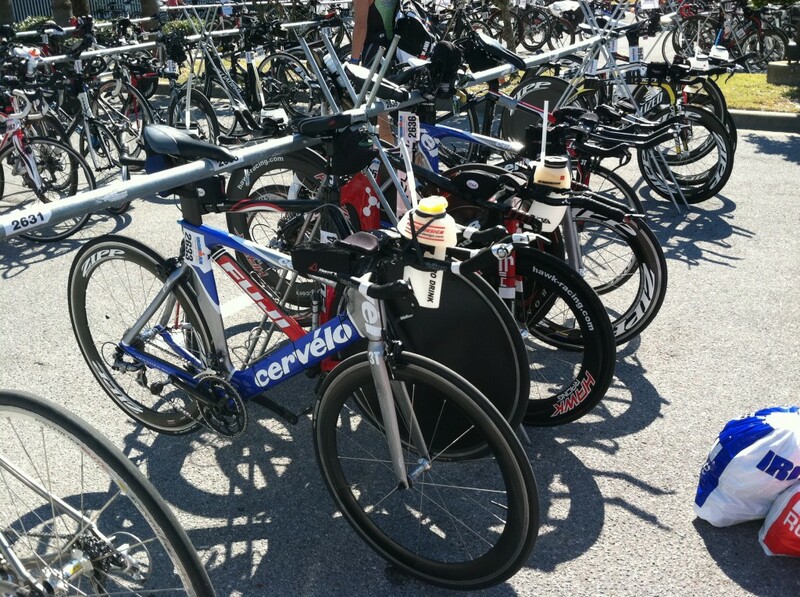 (It is sitting in the rack in Panama City, Florida, waiting for the start of Ironman Florida) Under a standard homeowners policy, once it leaves our driveway, my bike is no longer insured. The solution is quite simple and relatively inexpensive. I just need to schedule it on my homeowners policy. The cost to do so: $70 a year. Because it is scheduled, it is now covered anywhere in the world. But if insurance agents don’t ask the important questions, then they will not know how to tailor your coverage and assure your assets are properly insured. Of course we all want to make sure we are paying a fair price for our insurance, but if my bike is not scheduled and it gets stolen or damage, the $4,000 + to replace it pales in comparison to the 15% I possibly could have saved by making a 15 minute call, or buying a policy online. Maybe it is your camera, guns, jewelry, silverware, artwork, watch, or jetski. It doesnt matter to us what it is, we just need to know about it so we can properly cover it. At IronRisk Strategies, we are not the typical insurance agent. We think of ourselves as Risk Managers first, then insurance agents. How do our clients know this; because we don’t sell anything, we ask the questions. Make sure you don’t have the most expensive kind of insurance: Self Insurance. Ask yourself, “has my agent asked me the important questions?” If not, then we hope you will consider calling IronRisk.